Can be stacked 3 high and chained down to transport multiple units economically. Gross Vehicle Weight 75,000 lbs. Carries 70,000 lbs packed in a 40ft container on an 8600lb chassis. Available in used condition only for rent. 40′ Gooseneck chassis built for everyday loading of 40′ DC and 40′ HC containers. Tare weight: 6,600 lbs. 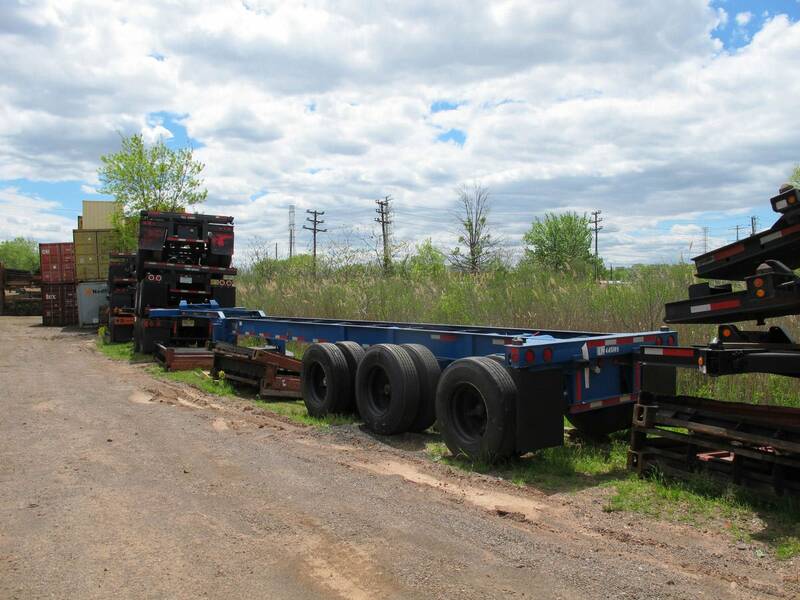 40’ 8-pin Convertible: Chassis can transport 2 x 20ft empty containers, 1 x20ft empty, 40’ X 8’6” H or 96”, 20’ 9’6” H on the rear and a 20ft std on the front empty or loaded. 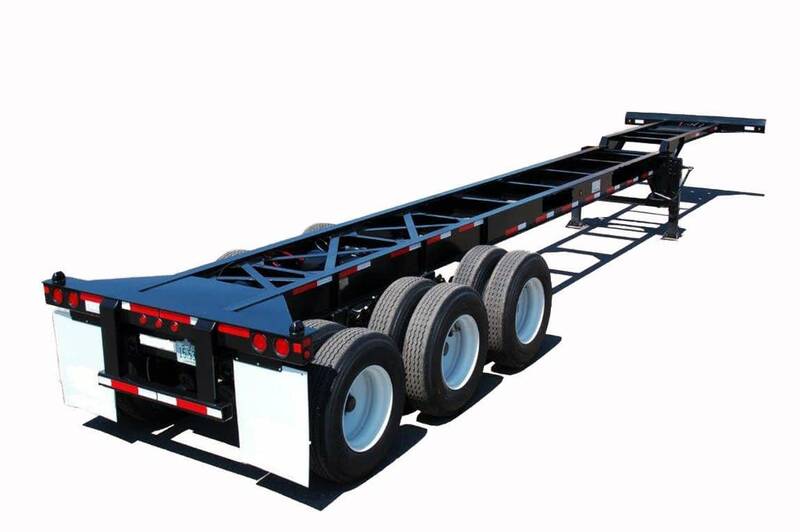 45′ Gooseneck chassis manufactured to transport higher capacity 45′ container loads. Tare weight: 6,850 lbs. 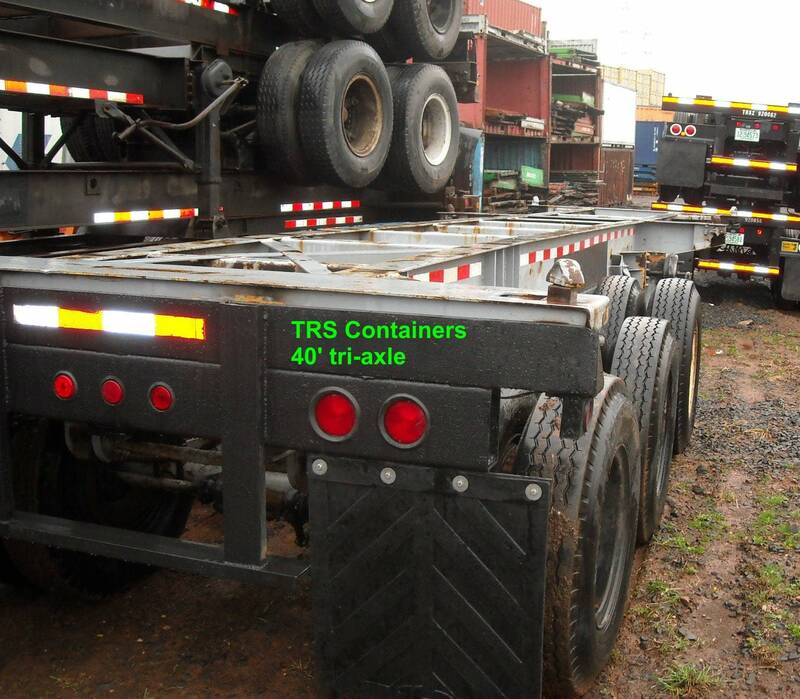 40′ – 45′ – 48’ Extendable gooseneck chassis provides the greatest flexibility to carry both 40′ and 45′ containers. Tare weight: 6,900 lbs.